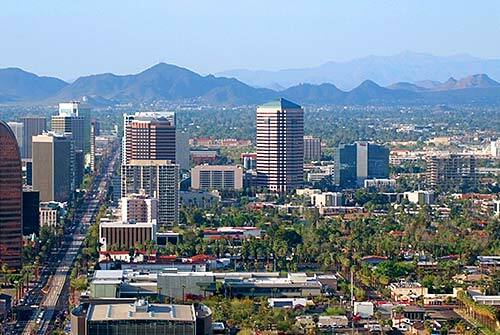 Phoenix is an expanding urban area within the Sonoran Desert. The Sonoran Desert includes some of the most diverse native plant and animal species of any desert in the world. People have had a large impact on the desert ecosystem and the desert ecosystem has had an impact on how the city has developed. Some neighborhoods used to be farmland and others used to be desert. Some neighborhoods were built for people who prefer to live at the edge of the city near the natural desert, while others were built closer to city centers. How has your neighborhood changed over the past 50 years? Do you know its history? How does the creation of new neighborhoods impact the desert? How does the creation of new neighborhoods affect older neighborhoods? Are people thinking about using land differently than in the past? Our scientists are studying these questions. They are collecting and analyzing data about how the Phoenix area and its neighborhoods have changed and are currently changing. Ecology is about studying the relationships and interactions between living and nonliving things in a particular area. Urban ecologists study people, plants and animals living in and near cities. More importantly, they study the relationship between all those living things and the nonliving things in and around cities. They also study how people change their environment and how those changes can come back to affect people and other living things. What do you know about the living and nonliving things that are in your neighborhood and city? How many birds live in your neighborhood? How can you keep your backyard cool? 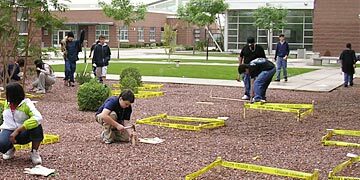 By studying our backyards and neighborhoods, you and your classmates can think about how to make our cities better places for other people and for the other living things that share our urban home. What is an ecosystem? A pond, a forest, a meadow, a terrarium, a fish tank: all of these are ecosystems. Each includes a community of living things (plants, animals, microbial organisms) interacting with nonliving things (sunlight, nutrients, soil, water, wind). What is an urban ecosystem? An urban ecosystem includes people among the living things, and the structures they build among the nonliving things. In an urban ecosystem, humans influence ecological factors (plants, air, soil, animals), AND human decisions (where and how to build houses, parks, highways, schools) are influenced by ecological factors. Chihuahuan Desert — the largest desert in North America covering more than 200,000 square miles — Most of it lies south of the international border. In the U.S. it extends into parts of New Mexico, Texas and sections of southeastern Arizona. Its minimum elevation is above 1,000 feet, but the vast majority of this desert lies at elevations between 3,500 and 5,000 feet. Winter temperatures are cool, and summer temperatures are extremely hot. Most of the area receives less than 10 inches of rainfall yearly .While some winter rain falls, most precipitation occurs during the summer months. The Sonoran Desert is an arid region covering approximately 100,000 square miles in southwestern Arizona and southeastern California, as well as most of Baja California and the western half of the state of Sonora, Mexico. This arid region of southeastern California and portions of Nevada, Arizona and Utah, occupies more than 25,000 square miles. Situated between the Great Basin Desert to the north and the Sonoran to the south (mainly between 34 and 38°N latitudes), the Mojave, a rainshadow desert, is defined by a combination of latitude, elevation, geology, and indicator plants. The Great Basin Desert, the largest U. S. desert, covers an arid expanse of about 190,000 square miles and is bordered by the Sierra Nevada Range on the west and the Rocky Mountains on the east, the Columbia Plateau to the north and the Mojave and Sonoran deserts to the south. This is a cool or “cold desert” due to its more northern latitude, as well as higher elevations (at least 3,000 feet, but more commonly from 4,000 to 6,500 feet). Precipitation, generally 7-12 inches annually, is more evenly distributed throughout the year than in the other three North American deserts. Winter precipitation often falls as snow. 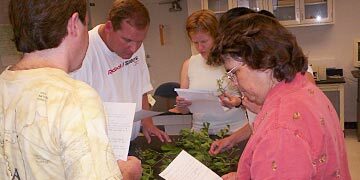 What are some of the big research questions that CAP LTER scientists are studying? CAP LTER scientists come from the natural and social sciences as well as engineering. Some of the questions they are studying include: How do organisms adapt to city life? How do residential landscapes impact biodiversity? How are decisions made to create urban parks and design neighborhoods? What are the impacts of built structures on urban climate and people? How are important elements like phosphorus and nitrogen being cycled in the city? What is happening in urban watersheds, from more natural areas along the Salt River to more designed areas like Indian Bend Wash or the Tres Rios wetland. How do human values, behaviors, decisions, institution and social patterns influence how our urban ecosystem works? CAP LTER scientists use a variety of methods from doing surveys of people to doing surveys of bird abundance. Find out about some of their results at the CAP LTER Research Highlights page. What Will You Explore First? Explore the animals, plants, birds, insects and more, within your local ecosystem. Lesson plans, protocol guides, and additional resources for effectively guiding student learning. 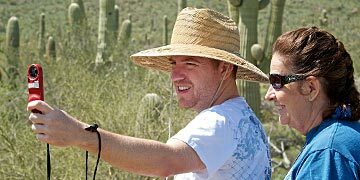 Scientists across central Phoenix are studying our unique urban ecology. See them talk about their work.